WOW! 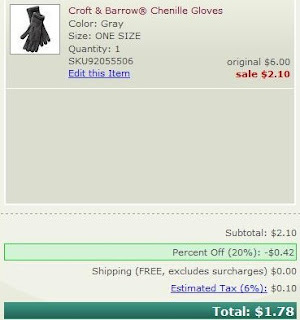 Croft & Barrow Chenille Gloves Only $1.78 Shipped! I get my mom gloves every year for Christmas, it's kinda like tradition. I finally chose this year's pair and got them super cheap! 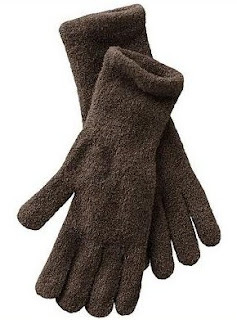 Head on over to Kohl's for these nice Croft & Barrow Chenille Gloves. These regularly cost $6, which isn't too bad, but you can stack two promo codes to get a great price! There's several different colors to choose from. Pick up a few for gifts, stocking stuffers, donations, etc! Great Deal!! I just scored 3 pairs of beautiful gloves for $7.63 total.